This letter was written by Charles Parker (1847-1903), the son of Moses Parker (1809-18xx) and Olive Wright (1817-1911) of North Baldwin, Cumberland County, Maine. Charles served in Co. 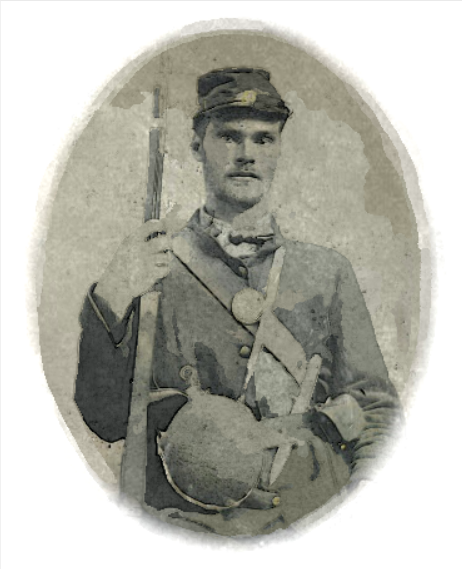 I, 31st Maine Infantry from March 1864 until July 1865. The 31st Maine Infantry left for Washington, D.C. on April 18, 1864 and was attached to the 2nd Brigade, 2nd Division, IX Corps, Army of the Potomac, in which it remained for the remainder of the war. The 31st commenced active campaigning on May 4, 1864 and took its first battle casualties two days later in the Battle of the Wilderness, where it suffered heavy losses. The regiment fought again at Spotsylvania Court House on May 12, again taking heavy casualties: 12 killed, 75 wounded and 108 missing in action. The regiment fought in engagements at Totopotomoy Creek on May 31 and June 1. Between the 4th and 12th of June, the regiment was before the Confederate works at Cold Harbor, then crossed the James River and fought in the Battle of Petersburg and then remained there for the remainder of the siege. In the July 30 Battle of the Crater, it was the first regiment into the Confederate works and lost heavily in the failed assault. The 31st was in support during the Second Battle of the Weldon Railroad, followed by the Battle of Poplar Springs Church on September 30. 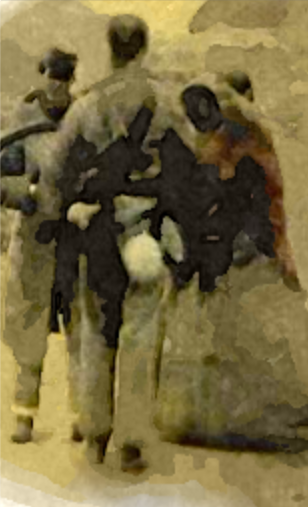 October 1864 was spent on picket duty and drill where it absorbed the 4th and 6th Companies of Maine Unassigned Infantry as companies L and M. On October 27, it was assigned to Fort Fisher, where they remained until the end of November when it was reassigned as the garrison of Fort Davis. The 31st Maine absorbed the 32nd Maine Regiment on December 12, 1864, adding 15 officers and 470 enlisted men to its ranks. The regiment remained in reserve from February 11, 1865 until the early morning of April 2, when it was chosen to provide the initial storming party of three companies for the assault on Fort Mahone. The regiment suffered heavy losses in the attack.. It participated in the occupation of Petersburg and spent the rest of the campaign gathering up prisoners and escorting them to the rear. After the war, it appears that Charles returned to North Baldwin, Maine, where he engaged in farming. In October 1886, Charles was admitted into a Home for Disabled Volunteer Soldiers in Togus, Kennebec County, Maine. At the time of his admission, he was diagnosed with diseased kidneys. In 1889, he was transferred to an Insane Asylum where he lived out his remaining years. He died in May 1903. 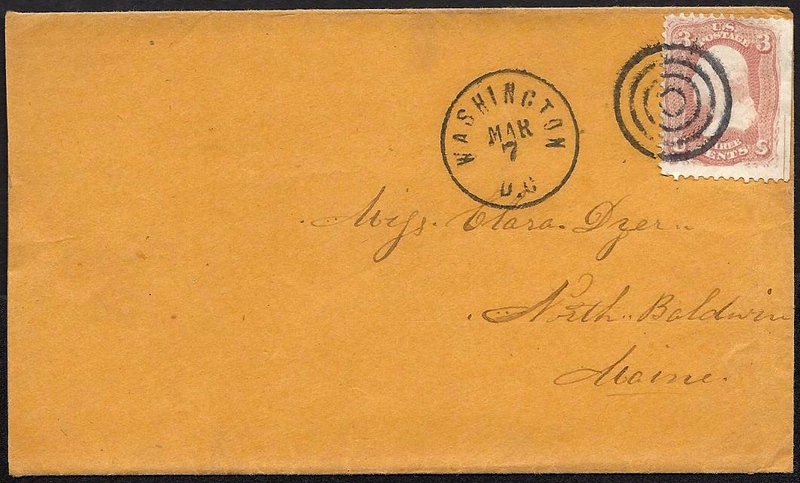 He wrote the letter to Clarinda (“Clara”) Claudis Dyer (1845-1865), the daughter of Asa M. Dyer (1805-1868) and Sarah H. Anderson (1806-1885) of North Baldwin, Maine. Clara died on 31 August 1865. I having a few moments to spare I thought I could not better devote them than in writing a few lines to you. I am in good health and hope these few lines will find you the same. I ought to make some apology for not writing to you before as I agreed to before I came away but I hope you will excuse me as I hate so much to take up my attention. How does the time pass away with you? To me it seems but a day or two since I left home. [Your sister] Emma ¹ wrote to me some time ago stating that you had wrote to me but by some mishaps I have not got it. Our regiment was paid last Wednesday and the saloon is so full that I could not get near it or I would have had an ambrotype taken to send you. Is there anything going on in Baldwin now. If there is not, I should think it would be rather dull times there. It is getting late and I guess I have wrote as much as you can find out and will close by bidding you good night. I hope to hear from you soon. ¹ Emma Parker (1847-174) was married to D. E. Cottle in 1869. He was the principal of the Le Moyne Normal and Commercial School in Memphis at the time of their deaths in 1864 when they were struck down by “the late appalling pestilence” (Yellow Fever) in the city. This entry was posted on Saturday, August 23rd, 2014 at 2:05 pm	and posted in Uncategorized. You can follow any responses to this entry through the RSS 2.0 feed.